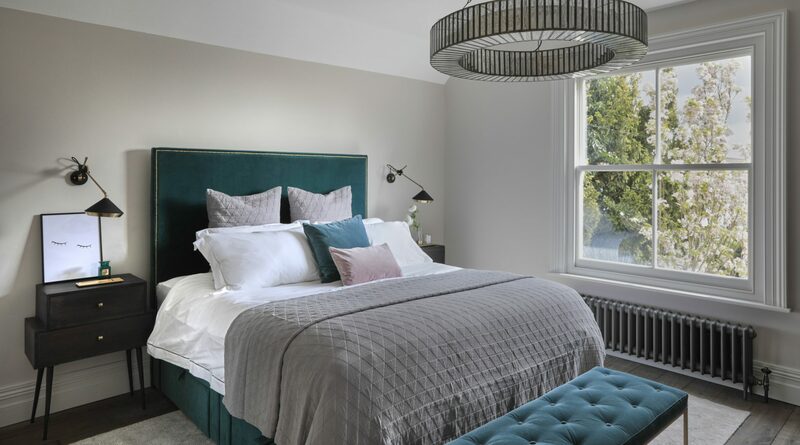 Cherie Lee interiors are known for blending classic, period features with contemporary, modern styling whilst keeping those key character features of the property the client’s originally fell in love with. 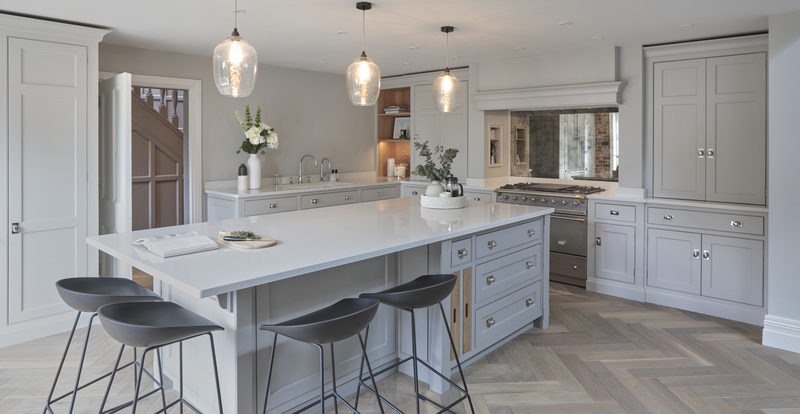 We have worked with Cherie Lee interiors on various projects and featured the company on the blog recently here – but one of and one of our favourite projects so far is the Victorian Family Home in Hertfordshire, which has been recently renovated to create a modern, liveable home for a busy family. What was the initial design brief? The property itself was a lovely, Victorian residence with lots of potential. However, it had been neglected and lacked a lot of the mod cons now expected and desired by clients looking for a forever home. The property required a complete overhaul. The brief was to create a family home, fit for contemporary living, but that retained period charm. 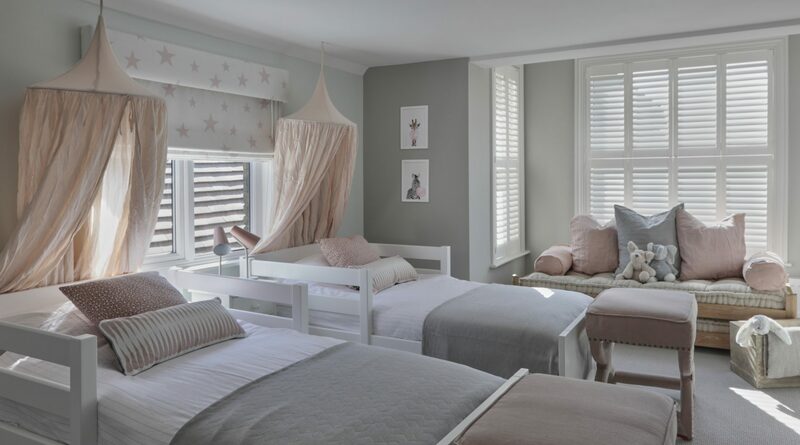 Comfort was key to the client’s and, with three young children, they wanted some playful elements to create a place that the whole family wanted to spend time in. Did any structural changes or enhancements need to be made to the property? How did you how did you plan the layout? High up on the priority list for the client was an open plan space where they could gather as a family and entertain. This resulted in the decision to remove a large structural wall early on. It allowed us to open up two smaller spaces and create the statement kitchen, living, dining area. The remainder of the ground flowed from there and the former kitchen was turned into a home office. The hallway was divided into primary entrance for boots and coats, and a warm and welcoming secondary hall. In addition a snug/TV room leads off of the hallway and the original downstairs WC became a utility room. We relocated the downstairs WC to what had previously been a cupboard. 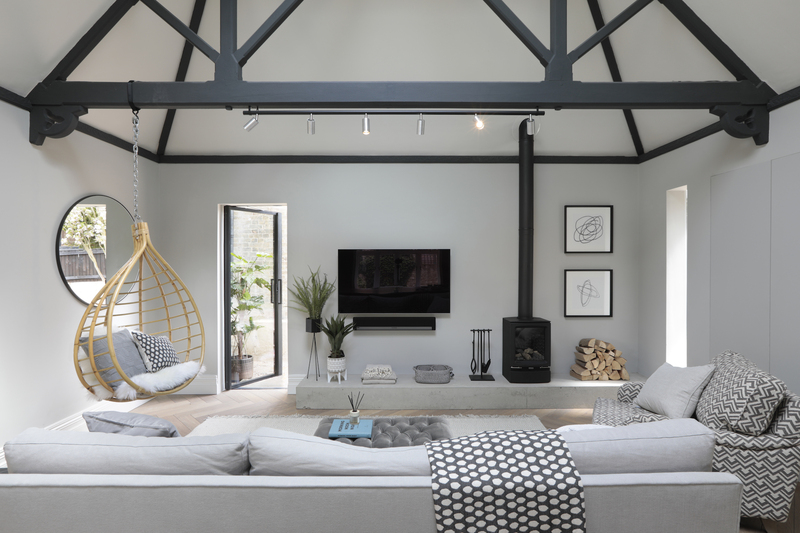 A mixture of textures and soft colours combine to make each room calm and inviting, how can anyone looking to create a similar look create this in their home? We like the properties that we design to be luxurious and have wow factor, but also understated and to be homes that are meant to be lived in. I think layering with natural fabrics such as cottons, linens and wools are great for creating a relaxed and calm look. 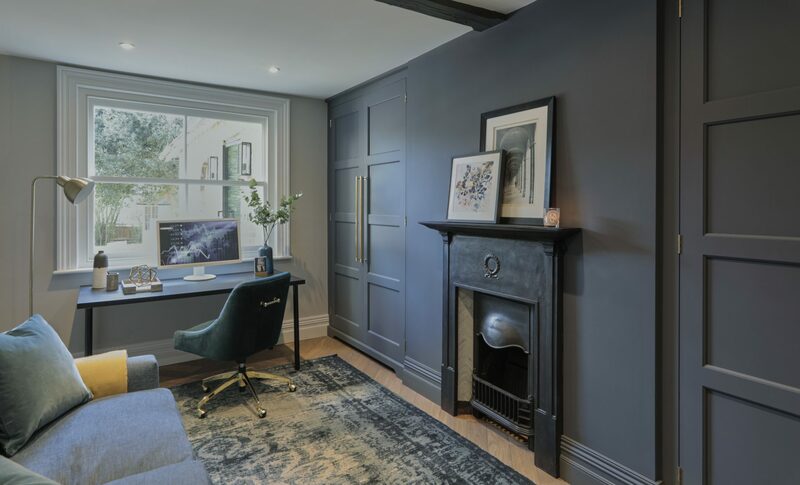 We kept the colours in this property muted and chose tones that blended together rather than create strong contrasts in wall and cabinetry colours. Where a bolder colour or statement was required, we introduced this through furniture, art or lighting. The use of artwork, light and mirrors are key features in almost every room, what do they add to these spaces? Were these an essential element for the client? 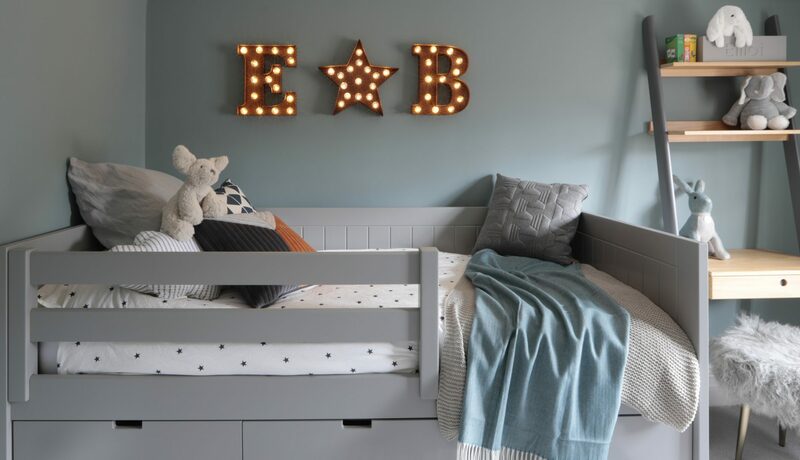 Lighting is so important in any room design. Whilst choosing fixtures that look lovely in their own right, it also allows a client to change the atmosphere in any area of their home at the flick of switch. We were lucky in that the client didn’t heavily steer us on this project and so left us to create a lighting plan that we thought worked. Mirrors and artwork are most definitely a must. They allow personality to be added to a home but I also love that you can frame a really lovely section of a room by reflecting it in a mirror. What could be better than a great collection of items, twice! The kitchen (designed and manufactured by Humphrey Munson) flows through to the living/dining room is particularly beautiful with exposed brick and soft tones, how did you balance everything at once? The kitchen design in this home really captures the theme of traditional and contemporary and assists in keeping the space so well balanced. The kitchen is always going to be such a prominent piece in an open plan room like this and so finding the right style of cabinetry is going to be essential. The Nickleby cabinetry is great for homes where you are trying to blend traditional and modern as it is very versatile. The open plan room in general plays on the contrasts between old and new. With the introduction of very modern frameless glass, pivot door and roof light, combined with sympathetically created french doors and bay windows. The integrated mix of styles and ages was very much introduced into the fabric of the building, and I think this assisted in allowing us to use a blend of styles in the furnishings. What would you say is the key to this project’s success? Definitely balance. The property has areas of dark, warm shades with pops of colour and others spaces that are neutral, light and airy. In sections it feels very sophisticated and calm but in others, such as the family bathroom, we were able to be bold and fun with pink wall tiles and strong black and white geometric floor tiles. I think the property keeps your interest as you walk around it but, most importantly, it is so comfortable it makes you not want to leave! What was your favourite part in creating this project? It’s a hard question because I enjoy so many parts of the design process and I like so many parts of this project. However, planning and incorporating the more permanent fixtures in this property is what allowed us to have the largest impact on the finished look. 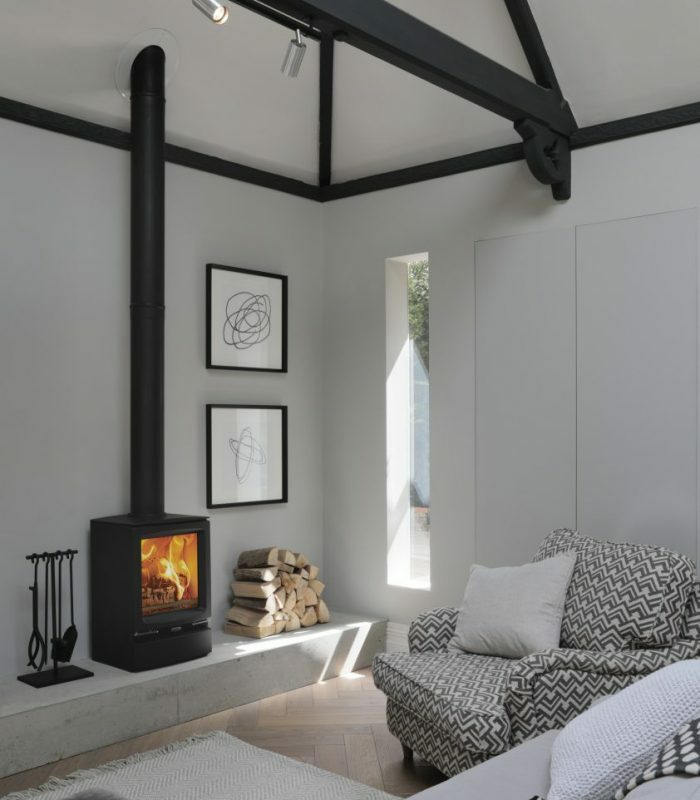 The client’s really put their trust in us and allowed us to reconfigure the space, add the aforementioned glazing, and the addition of fires and lighting. Without being able to effect these elements, I don’t think the overall impact would have worked as well. To make an enquiry or to find out more information about Cherie Lee Interiors, visit the website here.